Start taking care of your skin right after your marriage gets fixed for the radiant glow on your wedding day. Start applying numerous face packs with healthy fruits extracts and fluids like green tea inclusions. But many get under eye dark circles and unfortunately can not be cured without trying out a few remedies. Do not harm your sleep schedule by talking late at night to your would-be spouse or by watching romantic movies at night. You need proper sleep for a glowing skin. 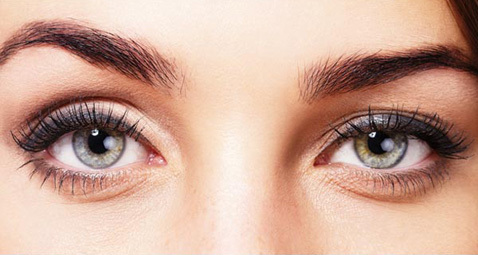 Beauty tips for reducing dark circles under the eyes. It is understandable that a newly engaged couple love to chat late night but a good night sleep is equally important too. Therefore, staying awake at night and sleeping in the day time would not prevent dark circles and puffy eyes. If you have only a few days left for your wedding day and are in search of quick remedy for removing dark circles, soak tea bags in cold water, squeeze out water and place the tea bags on the eyes. Leave it for some 10 minutes and see the difference in a few days. If you are not much of a beauty concern, you probably must wonder why women cover their eyes with cucumber slices. It’s simple; cucumber helps in reducing dark circles under the eyes and also keeps them cool. Freshly cut chilled cucumber slices provides a soothing effect to the eyes and also acts as bleach. You may also substitute potato slices for cucumber, place them on your eyes and relax for some half an hour. You may also massage the area with fresh lemon juice. Just soak a cotton ball in lemon juice and smooth massage whenever you sit idle. You can also use tomato juice or mix both juices together. It also reduces puffiness of the eyes. Lack of nutrition is another reason for dark circles. Increase the intake of nutritious foods like spinach, cabbage, carrot, tomatoes before the wedding. Also quit smoking and drink lots of water to improve blood circulation in the body.